Canon is definitely late to the party when it comes to developing a professional mirrorless system, however, being late isn't always a bad thing. 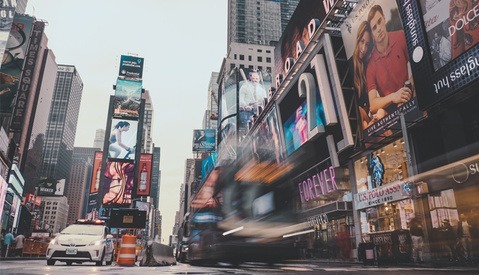 There are advantages to being second or even third to market when it comes to new products. Unfortunately for Canon, Sony seems to have anticipated this with the a7 III and competing is not going to be easy. Not so long ago Canon discussed how they had been slow when it came to innovation. One of the points that Canon's CEO made was about how latecomer manufacturers have a lot to gain. This is, of course, true in many cases because requirements for research and development are much lower. The cost of manufacturing can be lower too due to certain parts and materials becoming available to buy. Brand reputation has also helped Canon remain very popular in the market and trends would suggest that they may continue being popular when they release their own full-frame mirrorless option. All of the hard work and research that Sony has done is now available for Canon to take advantage of and their current larger market share will obviously help. Essentially for a company like Canon they can simply waltz into the market without having done much work and still be successful. Sony, on the other hand, seems to have different ideas and their answer is the a7 III. This "basic" model from Sony features an incredible amount of features, something not very common for entry-level full-frame cameras. Considering how most companies release their cameras, entry-level cameras generally do not offer many great features. They tend to be cameras which offer the bare minimum and this has remained relatively true for the most part. The Sony a7 II, for example, wasn't much of an upgrade from the original Sony a7, save a few improvements to the build/design and the addition of iBIS. The a7 III, on the other hand, is a very significant move against the norm because this camera is incredible. The camera is so good it's making Sony's own camera line-up a little confusing. Not only is it making people question whether or not they should buy the a7 III over the a7R III, but this "basic" model is also competing with their flagship camera: the Sony a9. In fact, in some areas, the a7 III is actually better than the more expensive a7R III and these are not superficial differences either. The a7 III has a much better autofocus system, significantly better low light performance — which actually rivals the a7S II — and also offers better quality 4k video. The question is, why does this "out of character" release matter so much and how does it impact Canon? Well, in short, this creates a very steep barrier to entry and the economic cost of entry is potentially much greater now than it was previously for Canon. Releasing something mediocre might be damning for Canon due to the a7 III and now, releasing something significant enough to get the attention of the market will cost much more than what they probably anticipated. Canon is notorious for being reserved when it comes to new releases. The drip feed mentality of Canon has annoyed many photographers and caused many individuals to look elsewhere for better and newer features. The alternatives might not be perfect but they are good enough for a vast number of individuals. Sony is the most viable option to switch to for many Canon shooters due to their feature-filled cameras and also the fact that adapting Canon lenses is really easy. Canon is in a little bit of a quandary because they have a lot more to lose than Sony does. 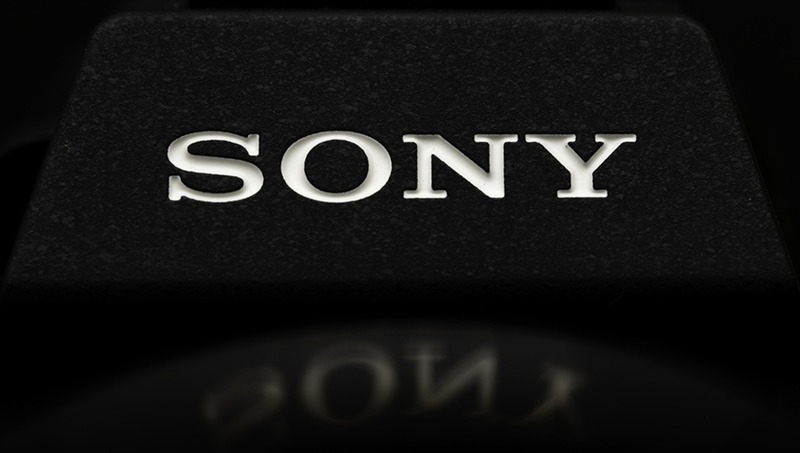 Sony as a company not only has a large enough budget to compete but, they can also take many more risks. This is why we're seeing Sony throw as many features as they possibly can into their cameras to stir up excitement, even at the cost of reliability on occasions. The Sony a7R II was effectively an unfinished camera that would overheat and the a7 III has been shown to overheat too in some demonstrations. Even with this, Sony cameras are gaining a lot of popularity and the risks they've taken seem to be paying off. Canon, on the other hand, has a fully developed system that is soon to be obsolete due to needing to move to mirrorless, whilst still needing to cater to their DSLR sector. If they release a mirrorless camera that's too good then they risk cannibalizing their current line-up. Although Canon has discussed how they are willing to cannibalize their current line-up this sounds more like lip service. Unless Canon has set aside a large enough cash cushion or they release a fully developed line of cameras, lenses and, accessories in a very short period of time, they won't want to undermine their current systems. Chances are, Canon was probably going to release something relatively mediocre based on current standards. Unfortunately, if they do, many Canon shooters may feel that Sony is the better option and this is primarily down to the fact that the a7 III is such an incredible and cost-effective option. As mentioned above, the cost of entry for Canon is much greater now because of this intentional and strategic move from Sony. It's true that Canon may be able to build their mirrorless system whilst using the EF mount as a crutch. This is with adapters of course, and many — including myself — may not like the idea of that, however, it's still a viable option. Alternatively, it may be a smarter move to continue with the EF mount on their mirrorless cameras, which means not investing in two different lens mounts at the same time. The EF mount is far from being dead right now and has received a number of new additions. Lenses like the Canon 85mm f/1.4L and three new tilt-shift lenses. This demonstrates a pretty strong commitment to it, and it doesn't seem like the EF mount will be going anywhere over the next few years either. In any case, the competition is definitely heating up and the mirrorless market could get interesting. What are your thoughts on Canon's future and what do you think they will do for their mirrorless camera? Good points Usman. I'm halfway expecting their first full-frame mirrorless model to be professional tier, and perhaps more of a video-centric camera than a stills-oriented camera since the 1D X II is just a couple years old. A 1D C successor in mirrorless form would outperform Sony's offerings in autofocus thanks to DPAF, and Canon could throw in a much more sophisticated version of Eye-AF that debuted on the M50. Give it full-frame 4k oversampling, C-Log, and dual CF-Express card slots; I think that would be a safe way to start out since it would be aimed at videographers and wouldn't be compared in an apples-to-apples sense against the likes of the A9 in stills capability. That wouldn't be a bad move at all, but it would really eat into margins for their cinema camera line (especially mid to lower-tower stuff like the C200), which they've already been super reluctant to do (just look at the crippled video features on the 5D Mark IV...). I hope they do something good for customers rather than the bottom line, because more competition is good for everyone, but shareholders get cranky quite easily. It's certainly true that Canon have always kept their cinema cameras and stills cameras segregated in terms of features. But the M50 appeared to be a halfway decent attempt at a hybrid camera. That gives me some hope that Canon will take video more seriously with their mirrorless platform than they have with their DSLRs. The A7III and A7RIII are similar in AF speed, the difference being the larger AF area on the A7III. But in real life use it's impossible to tell the difference in terms of AF Speed. Came here to say exactly what you said. I have the a7rIII and the a7III. Autofocus and noise are close enough to be almost unnoticable. Biggest difference the is price an the megapixels. The only people hitting the panic button for Canon... are Sony shooters. This can get filed in the "Gear Bro" column. imo Canon and Nikon should both keep their existing mounts, but instead of the mirror box put a variable ND filter and/or speed booster and/or polarizer instead. You could even use a mirror mechanism, or similar, to flip these up and down as needed. Imagine being able to adapt legacy medium format glass to FF, or never having to bring a filter set with you again. Or buy a filter set. Also, for cameras >= $2k I don't think people particularly care about size (maybe I just haven't talked to the right people? ), or at least not enough to warrant switching brands over. And we haven't really seen mirrorless lenses become significantly smaller than SLR anyway. I get that Sony and the others are way ahead in features etc. and it will stay that way until the RnD catches up, so why not throw in a few features that are impossible for the competitors and their short flange distances can't compete with? I would hope that Canon release a Full Frame mirrorless camera with an EF Mount, I think it would keep many of its customers happy. Sony's cameras are excellent and feel a little better than Canon's at the moment, so I do think that they should take a look at the current Sony line up and improve on this. I have been tempted to go for a Sony unit and use Canon glass recently, but I am waiting to see what happens. My 5D Mk. iii is still going strong. It is 50/50 as it depends on Canon offering. If the parameters will be more or less identical with Sony a7 III but using higher quality materials (the camera is mentioned as PRO) and high unit production can significantly reduce the manufacturing price. Sony's R&D doesn't directly help Canon or Nikon--they would still have to develop their own way to do the same things to get past Sony's patents. All Sony has done is set a performance bar. As I see it, the near announcement of a new version III of the essential 70-200 f/2.8 L IS zoom indicates a Canon commitment to the EF mount extending at least another decade. I suspect they've determined by now that "compact" isn't an essential feature in a professional-level camera (and I'd agree with that), so the EF mount is fine as it is on a full-sized camera (at least no smaller than a Rebel) that merely lacks a mirror. There are plenty of things that can be done with the space. IMO, all Sony has done (if anything) is force Canon to roll out a full line of mirrorless cameras at once, rather than piecemealed over several years. And we can't say that even if they piecemealed the rollout, the first camera wouldn't have been a 5D-level camera anyway. Sony's R&D does directly help Canon it may not be specific parts but the research part of it is gold. The things that did or didn't work for Sony is now available to see for Canon and they may be able to avoid some if not all of those mistakes. They can also get hold of a Sony camera and just figure out and understand the tech if required. Abandoning their own design philosophy trajectories and slavishly trying to copy Sony's trajectory would be the worst mistake Nikon and Canon could make. They can never get of Sony ahead by trying to copy Sony--they couldn't even catch up by trying to copy Sony. I didn't suggest copy, I described how another persons/companies research is useful and will/can help. I'm a Canon shooter that gave up waiting for the Canon mirrorless camera and jumped on the Sony A7RIII rather than get the Canon 5D4. I still have all my Canon gear but now it gets used only if I have someone assisting me in my shoots. I love my new Sony, but my finger habits miss Canon. If Canon has gotten mirrorless right in two years when I'm ready to upgrade again, I could jump back rather than going with the A7R4/5. I don't hold any animosity towards Canon for being slow to adapt. I'll buy what's best for me. Ex Canon photographer. Already went to Sony. Still have some Canon. Only way I see for Canon to remain a leader is to beat Sony for features and price, AND match Tamron and Sigma in prices . The digital revolution killed many pro photographer's careers, and modern science and technology us now levelling the field for camera manufacturers. That's progress! Canikon will have to release something mind blowing to stay in the game for another 5-10 years. DSLR will go the way of film (hipster and very specialized) and mirrorless will take majority market share. Fuji will keep pushing affordable medium format and DJI will bring Hasselblad into this century. Unfortunately for Canon, they need to release a body that totally 100% invalidates their entire FF semi-pro/Pro lineup (6D/5D) in a single body. I just don’t see them doing this (see 4K video for reference). Nikon is good. D500, D850 are monster hits and class leaders. 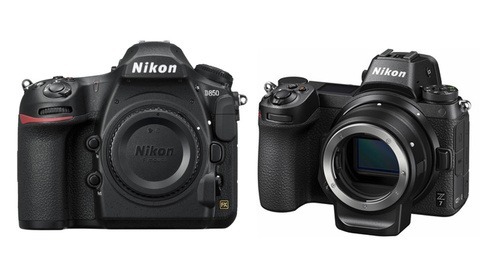 If Nikon consolidate their d610/d750 into a next gen mirrorless body they will be golden. I would be delighted to see Sony (or anyone) force Canon out of their minimal-value-at-maximum-cost corporate philosophy. Sure A7 is a nice camera and gives Canon headaches. 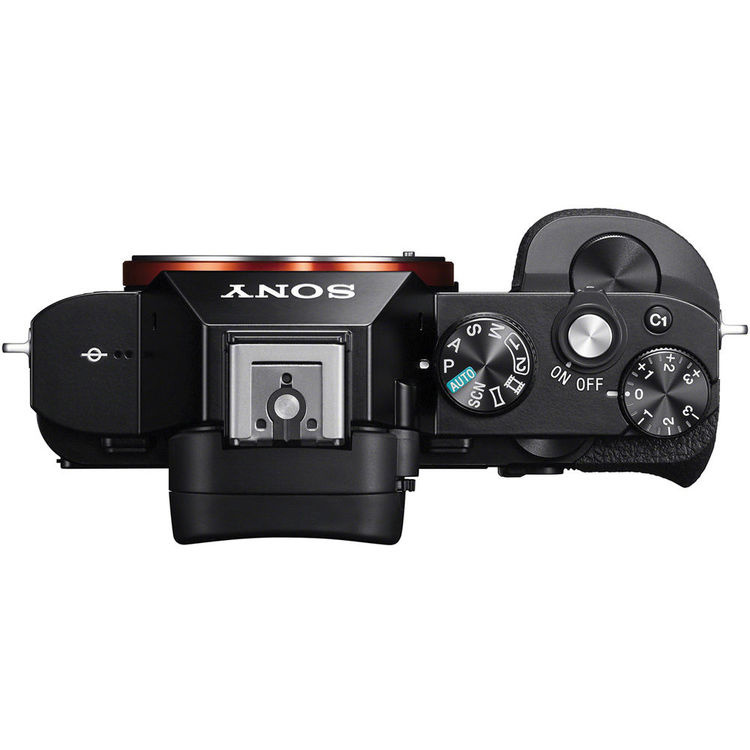 But the real question is when will Sony release the new version III of the RX1R ? I'd be all in for an RX1R III !! Speaking just about technology and not about failed marketing: - It is said an e-car consist of 1/3 part (or less) of traditional vehicle technology and 2/3 part (or more) of informatics and the share of the disruptive new technology part is growing. Informatics is responsible for the implementation of the main functionalities of the car. Vehicle functions are increasingly implemented in software. Tesla's strength lays in the informatics, which is one of the key factor in its success in the e-car industry. Other OEM makers, even the premium car makers, have (had) a definite lag behind Tesla as the introduction of functionalities that depend on advanced informatics is suffered from delays because of the organizations move toward a risky direction slowly where they have insufficient expreience. Why I have had it up to here is because the mirrorless camera technology share a great number of similarities with the e-car industry. Lenses, bodies and mounts belong to the traditional part while more and more functions are implemented cleverly in SW. Camera functions are increasingly implemented in software.This explains the battery issue of the mirrorless cameras. Think about the move from optical finders to EVF and so on. To implement a smooth and responsive EVF need a long time experiment and R&D in informatics, to build a camera architecture that is scalable for future needs, maintanability and reliability are other factors which must be ensured by SW solutions. I do not state that this experience is missing from Canon but Sony has a richer electronic/informatics ecosystem in the background. Not speaking about the role that Sony's imaging sensor production plays, which represent a huge slice of the innovation cake alone. In the past decades the comfort zone of Canon was placed in between of two wide thresholds, after Sony's redefinition of the basis FF mirrorless product, this comfort zone tightened significantly. Mostly naked woman at the top followed by click-bait title, then opionion piece with lots of "plausible deniability" sprinked in. Remember when you guys cared about photography? This article has two pictures and they are both of Sony cameras. I didn't use any pictures of naked women. Also, the title is very appropriate for the article and does not claim to know anything it literally has the word "might" in it. It's an opinion and opinions aren't necessarily fact but can be interesting. "...Canon was probably going to release something relatively mediocre..."
They already did, it's called the EOS-M.
LOL, true, but I meant for their full frame mirrorless camera. "Releasing something mediocre might be damning for Canon"
I've been a Canon shooter for all of my photography career. Demand has driven me to become a hybrid shooter, both photo and video. Canon's 5D Mk II was a game changer in the category...in 2008. Fast forward 10 years and I have 2 5D Mk IV's and I'm not seeing 10 years worth of improvements here. My point is Canon has rested on their laurels AND they have way too many Camera models. I see the writing on the wall. Innovate or die. Remember when Kodak was on top? So Monday a Sony a7III will arrive on my doorstep along with a Sigma MC-11 Canon lens adapter. For now I'm keeping all my Canon gear. 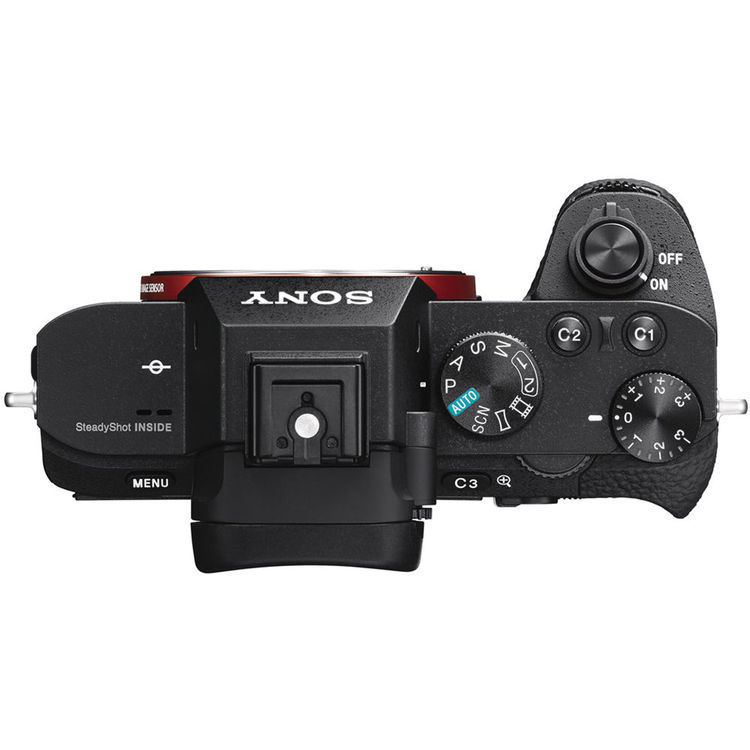 However, if this Sony and the adapter work well for hybrid shooting then I will sell my Canon bodies. Canon proved to us that they don't listen to their customers with the 5D Mk IV. Now with 2 new 70-200 lens' coming out, who asked for that? I've been asking for the 24-70mm with IS for years and they come out the 2 new 70-200's? smh. Really? I love my Mark IV and the leaps might not be groundbreaking but the autofocus in video is pretty stellar as well as the % of in-focus shots on the photo end. Canon will only make the DualPixel even better. I have never been angry about a product...an object, a thing...until the 5dMkIV. I had been saving my money, waiting to upgrade from my 5dMkiii. Motion JPEG? Nope. I made the switch to Sony. I’ve been having fun exploring a new camera that has new tech and innovation that adds something to my workflow. The a7iii has the features I have been waiting for from Canon, at half the price I was expecting to pay for an upgrade to my Canon full-frame. Which meant I had some money to invest in Sony glass. Thankfully. I doubt any professional would use an MC11 or Metabones unless they had to. I got the Metabones, and it was not terrible. But it was only effective part of the time. The Metabones being effective even a majority of the time wasn’t good enough for me. I was missing shots. Sony wanted a user like me. And they got me *and* an extra chunk of my money when I decided to buy their lenses. So their plan worked. The a7iii isn’t perfect. For one thing, it feels kind of fragile. After having a 5dMkiii, which is pretty sturdy, the a7iii almost feels like a toy. There are other issues that I hope will be fixed in the next model. At least I have faith that Sony will try to fix that and other models in the future. Instead of filling future “upgrade” camera bodies with garbage specs and bad video capability. Sorry Canon. It was nice. But you clearly don’t want my business. Sony will take over the photography market, thery are smart strategists and very competent, and this comes from a very happy Nikon user. 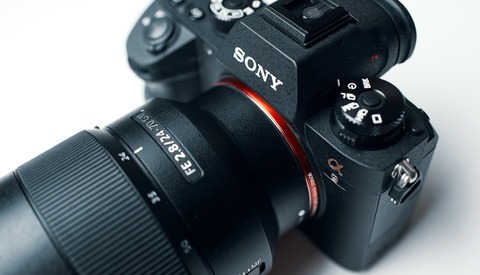 I know FStoppers is just getting more and more about clickbait so ever more alarming or disconnected titles are put on articles "The Sony a7 III Might Have Ruined Canon's Plans For Their Mirrorless System" is typical. Canon are smart. , They are not too panicked about mirrorless. In the end is it a huge advantage. Not when it comes to the quality of photographs. It has other certain advantages like potential for even high FPS but even the form size which could have been an advantage doesn't exist. Sony plus their big heavy lens = Full Frame with big heavy lens but the ergnomics is better on the mirrored full frame. Sony are starting to make their cameras bigger because they realise this too. There has to be a good grip. Canon and Nikons are highly reliable and proven so professionals are risking moving in large numbers. The camera unit in Sony is not small but its one of Sony's smaller units. If it doesn't really work out you wonder at Sony's committment to it. Canon are far more committed. It doesn't matter if Sony have deeper pockets - if its camera unit doesn't make serious money it will be closed down or sold off. (or just stick to making sensors for others).